As a business owner, following up with your customers for feedback, reviews and referrals is one of the best ways to improve yourself and your business. And the best time to follow up with your customers is immediately following an interaction, while the details of the experience are still fresh in everybody's minds. However, as an acupuncturist, it can be difficult to ask your patients for feedback immediately following a treatment, especially when they're relaxed and ready to leave the office. Thank You for coming into the office. 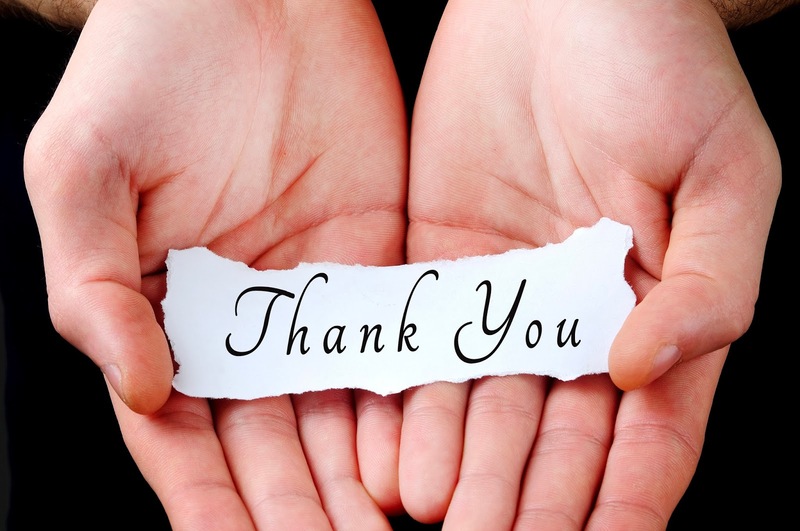 At Authentic Acupuncture, we understand you have many options for treatment and are honored you have chosen us. We strive to provide the best service to our patients. We love to hear your feedback on how we can improve. Feel free to contact us privately. If you have a second, please review us on Yelp and like us on Facebook. A short simple note like above will give your patients some actionable steps after they get home. An improvement on this simple follow up is to deliver the note at a time when your patients can easily perform your actionable requests. One of the best time for your patients is when they're in front of a computer and are able to send you an email, visit your Yelp and Facebook pages. 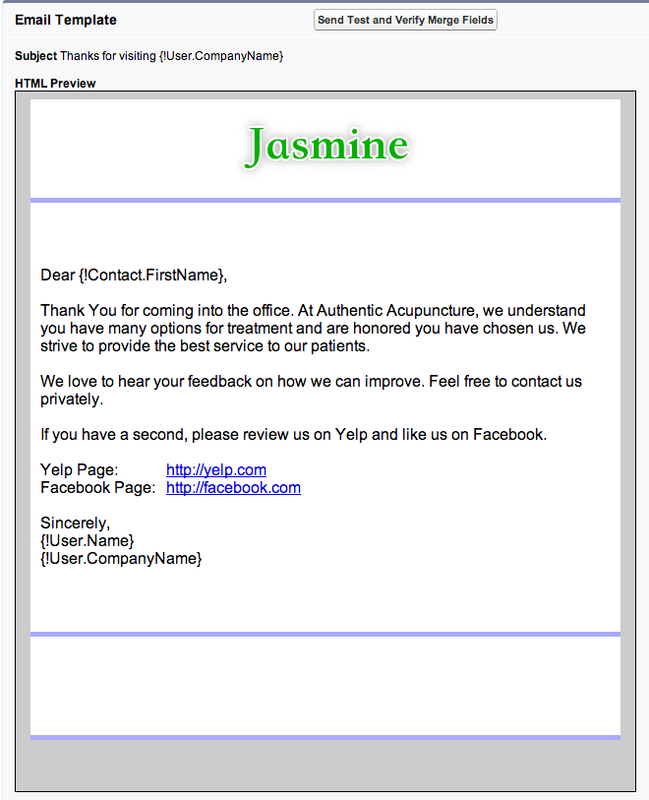 Jasmine Practice Management now sends follow up emails to patients after their appointments. The follow up email templates can be customized and personalized with your style and your actionable requests. With follow up emails, your patients will more likely complete your actionable requests since they're in a better place to do so.